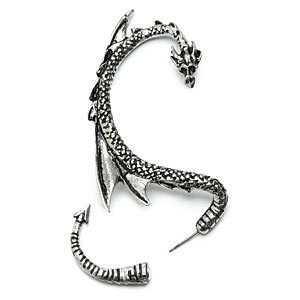 @nonphatic I gave my love that earring a few years ago! She loves it, but only wears it to special events as it's relatively heavy. But it gets a *great* response every time she does. 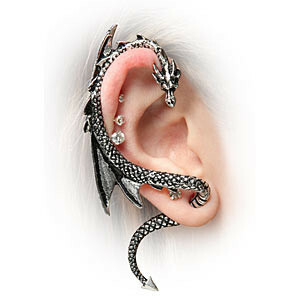 She also got a much smaller but similar dragon-through-the-lobe earring for her other ear.